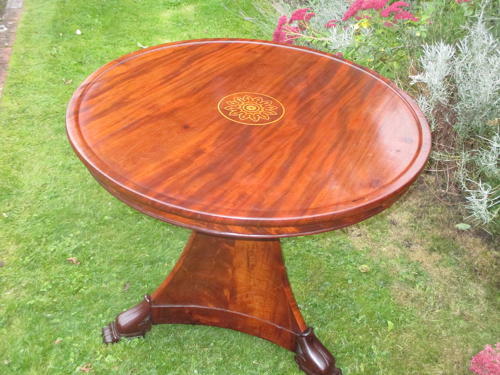 A very good quality flame mahogany centre table or Gueridon, with boxwood marquetry inlay to the top all on a tri- form base with well carved hairy feet. Excellent condition and warm colour. All sitting on original brass casters. Would look wonderful in an entrance hall.Dating to the early 19th Century.